There’s nothing wrong with working from your couch, but wouldn’t it be nice to have an inspiring, distraction-free place to go? 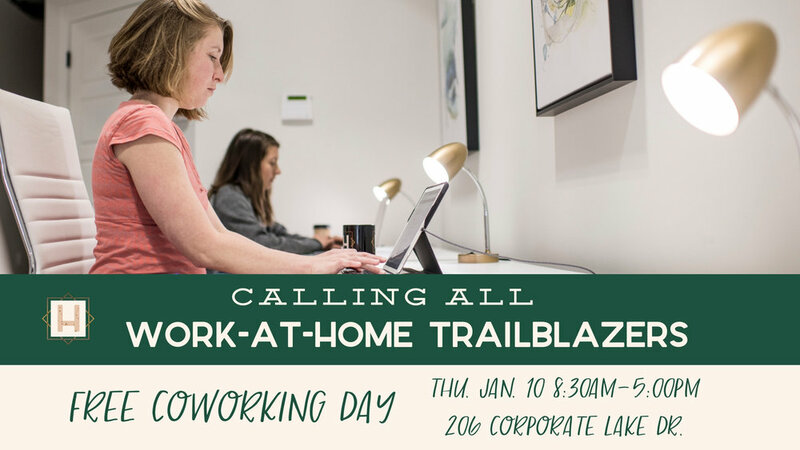 Join us for a FREE coworking day at The Hatchery! We’ll be here from 8:30AM-5:00PM providing bottomless coffee, great wifi, and an opportunity to engage with our inspiring community. All you’ll need to do is bring your laptop and get to work!